After failing to move up to the men's 400m track semifinals at the London Games on Saturday, Israeli sprinter Donald Sanford blamed his loss on the fact his shoes were stolen. Just prior to the race, he was seen arguing with the judges. He then continued to hastily lace up a replacement pair of running sneakers that were provided by the Israeli team, while the rest of the athletes waited. "The result was terrible. Terrible," the athlete said after coming in fifth in a qualifying heat with a time of 45.71 seconds. "I could have run faster, but someone stole my running shoes. I wasn’t supposed to run in these," he added, referring to his cleats. "It's terrible. I blame myself for not bringing other shoes." Sanford's result from Saturday's qualifying heat was his best this season. 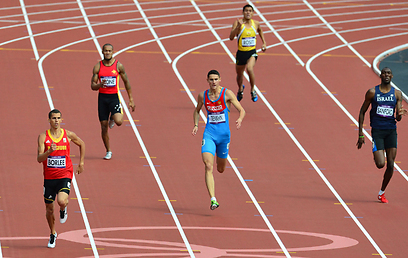 The qualifying race was won by Oscar Pistorius, a double-amputee runner from South Africa. 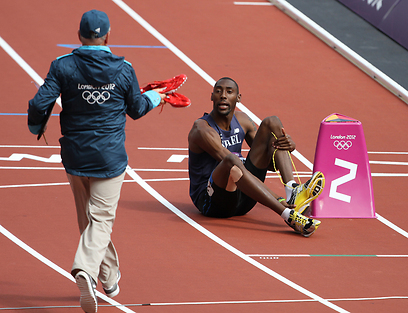 He made Olympic history by becoming the first amputee to compete in track at the Games. 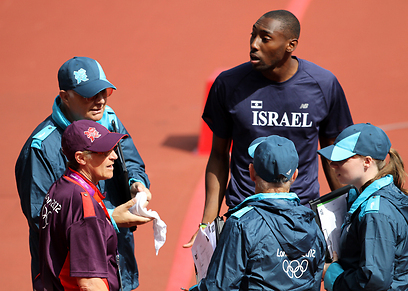 See all talkbacks "Olympics: Israeli sprinter blames loss on stolen shoes"